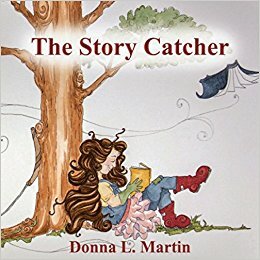 When I began to get serious back in January of 2011 about my dream of one day being a published author, I jumped right in and tried my hand at writing a picture book. It was a cute story about this little dog who thought he could be a hero despite his size. I spent a fair amount of time and effort on that manuscript and polished it as much as an ignorant newbie writer could. That was mistake number one. I did not invest the time to learn the basics of HOW to write a good picture book story. Mistake number two came when I started showing my virgin writing effort to friends and family. My “critique group”, as much as I valued their opinion, was not professionally qualified to review my story and tell me how to strengthen it. Mistake number three came along when I decided in April of 2011 to submit that great manuscript of mine to the first publisher I came across. There was no detailed research behind my decision. I don’t even remember why I chose Clarion Books as my first “victim”, but I’m happy to report the editor I sent my little dog story to saved me from myself and rejected the notion that I was ready for publication. Looking back at it now with a mindset born of investing some time and effort to actually study the finer points of writing, I can see I’m going to like this rejection party I was invited to attend. I think some writers see those rejection letters as the final nails in the coffin carrying their writing career to nowhere. I see it as a lesson to learn from or reject depending on how it truly relates to my work. And it seems I’m in good company. I came across an entire group of well-known authors who, in their earlier writing careers, also suffered from receiving the negative nod on stories the world would never have had a chance to see if these authors had given up on their dreams of being published. How many do you recognize? 1. Louisa May Alcott was told to stick to her teaching as she would never succeed as a writer. She ignored that advice and went on to publish Little Women. 2. Shel Silverstein received a rejection letter stating his story would never sell because “it fell between the interests of children and adults”. He never gave up and went on to publish The Giving Tree (one of my favorite children’s books of all time). 3. I’m sure William Golding was surprised to read in one of the 21 rejection letters he received about Lord Of The Flies that his story was “an absurd and uninteresting fantasy which is rubbish and dull”. 4. Even Theodor Geisel, better known to children around the world as Dr. Seuss, must have dealt with moments of doubt when he opened one of his 27 rejection letters for And To Think I Saw It On Mulberry Street and read “this is too different from other juveniles on the market to warrant it’s selling”. 1. The Tale Of Peter Rabbit by Beatrix Potter…6 times. 2. Harry Potter And The Sorcerer’s Stone by J K Rowling…12 times. 3. Watership Down by Richard Adams…13 times. 4. Jonathan Livingston Seagull by Richard Bach…18 times. 5. Dune by Frank Herbert…20 times. 6. The Notebook by Nicholas Sparks…24 times. 7. The Time Traveler’s Wife by Audrey Niffenegger…25 times. 8. A Wrinkle In Time by Madeleine L’Engle…26 times. 9. A Time To Kill by John Grisham…rejected by 12 publishers and 15 agents. 10. Gone With The Wind by Margaret Mitchell…38 times. 11. The Help by Kathryn Stockett…60 times. 12. The Amber Room by Steve Berry…85 times. Jack London, the author of such classics as Call Of The Wild and White Fang, received nearly SIX HUNDRED rejection letters over the course of his writing career! So you see? It’s not so much the actual rejection letter, but what you do with the information found inside. Will it inspire you to polish some more or step away from your dream? Does it challenge you to become a better writer or do you give up? Will you take it at face value and see how it applies to the body of work you envision creating or do you allow it to be the standard by which you judge your own writing ability?